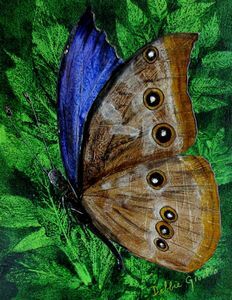 "Just when the caterpillar thought the world ended, it turned into a butterfly"
After a winter solace, spring brings life and brightness to the natured earth. 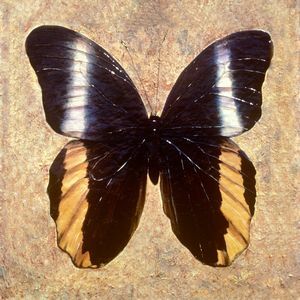 For me, butterflies with their unusual color configurations represents this beauty of metamorphisms. Transformation at its grandest. 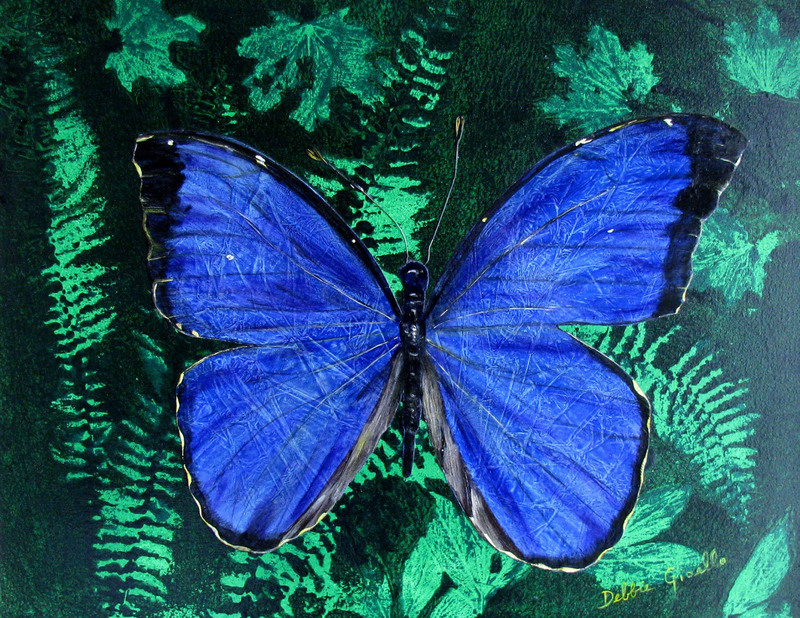 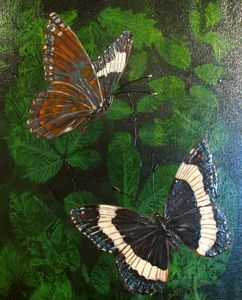 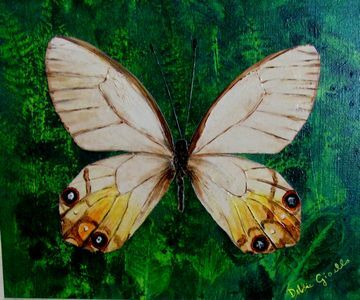 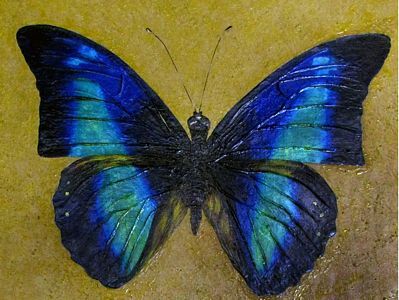 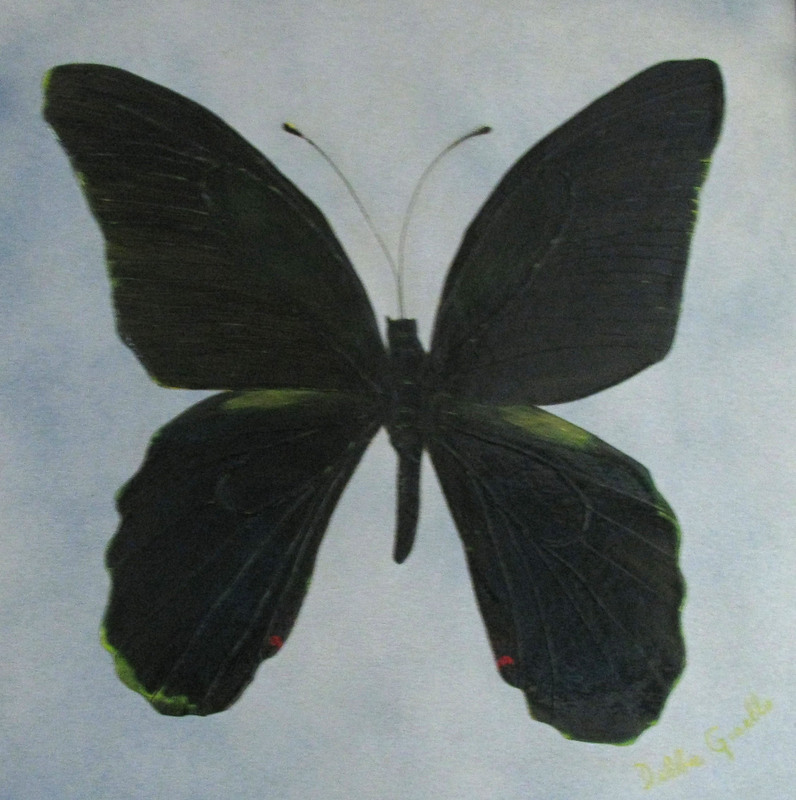 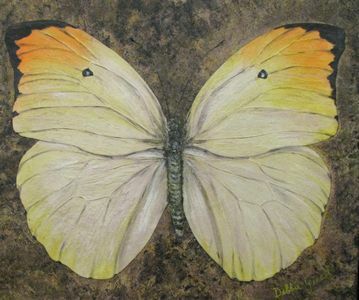 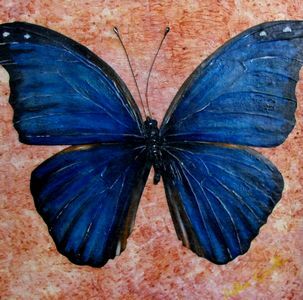 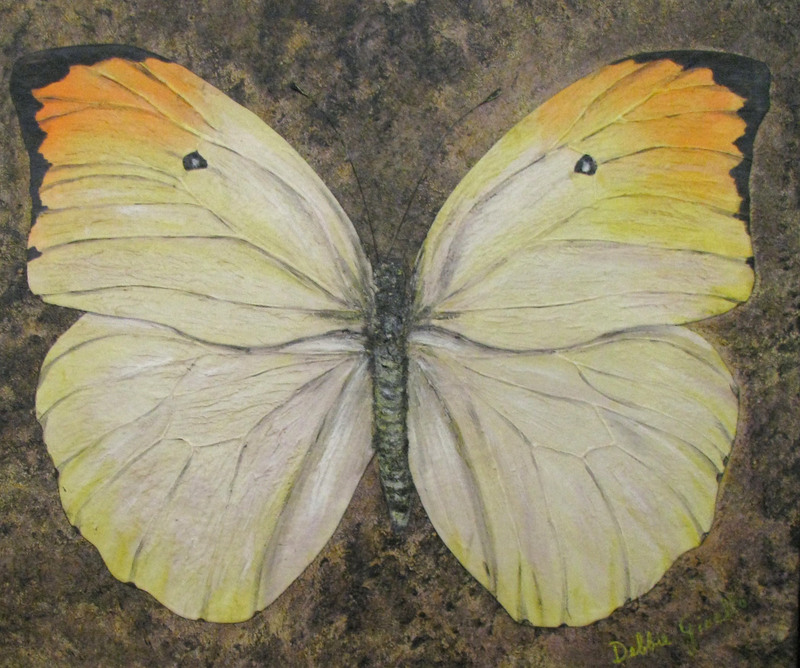 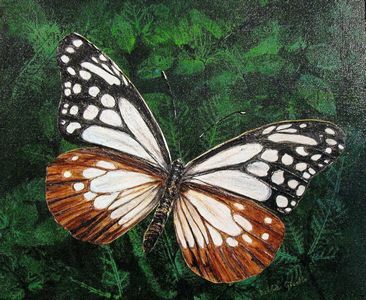 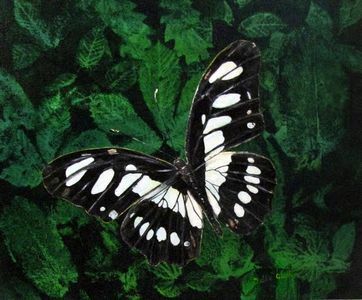 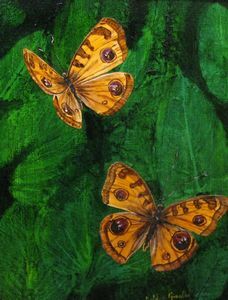 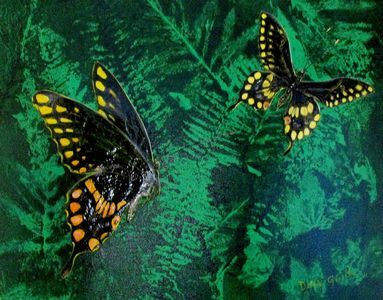 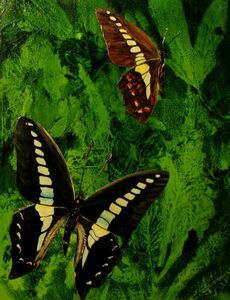 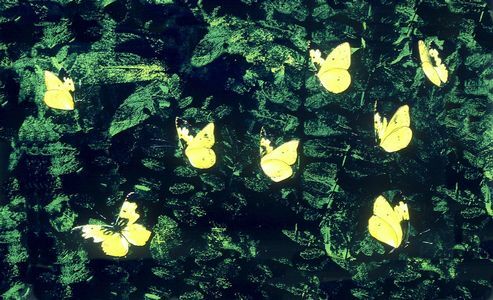 All my butterfly paintings are representative of butterfly specimens purchased on a trip to South America. 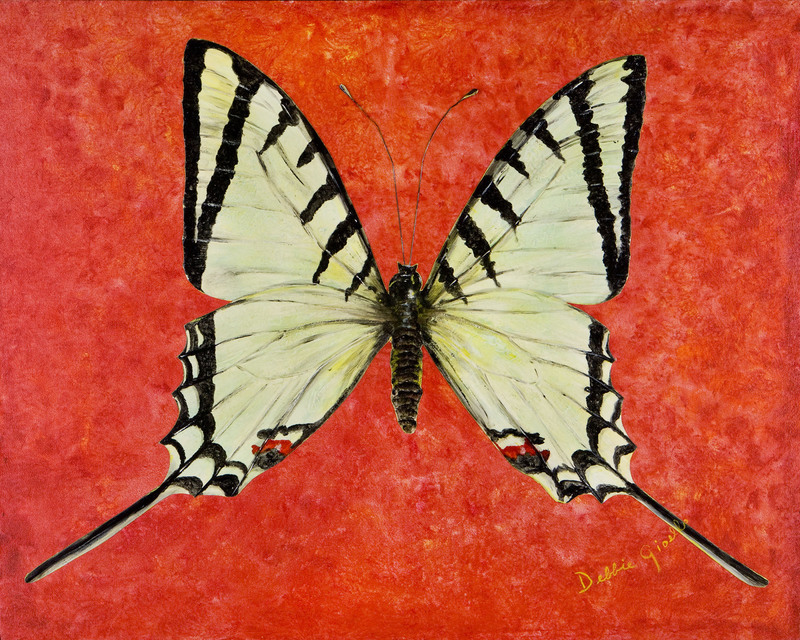 They are vividly colorful in their representational beauty of harmony and balance. 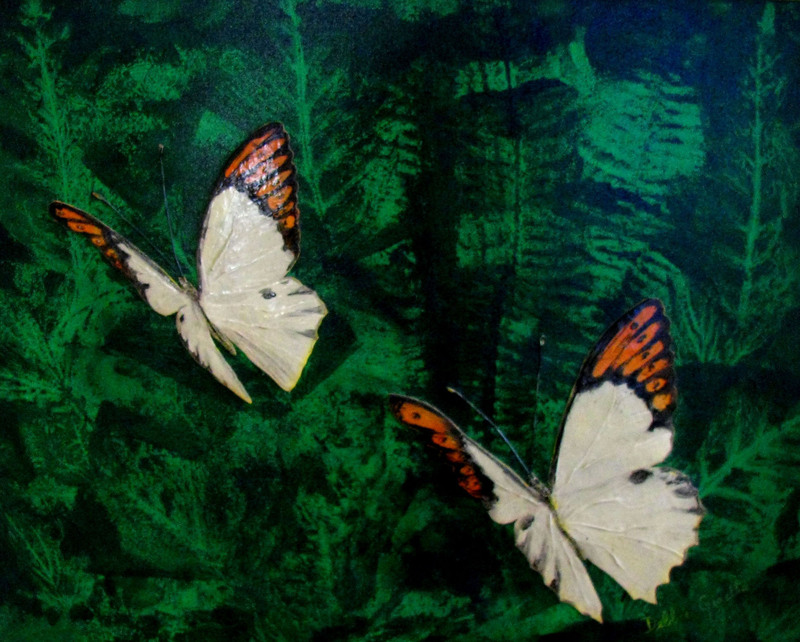 The butterfly paintings have been executed using acrylic paints and varnish in a multiple glazing technique. 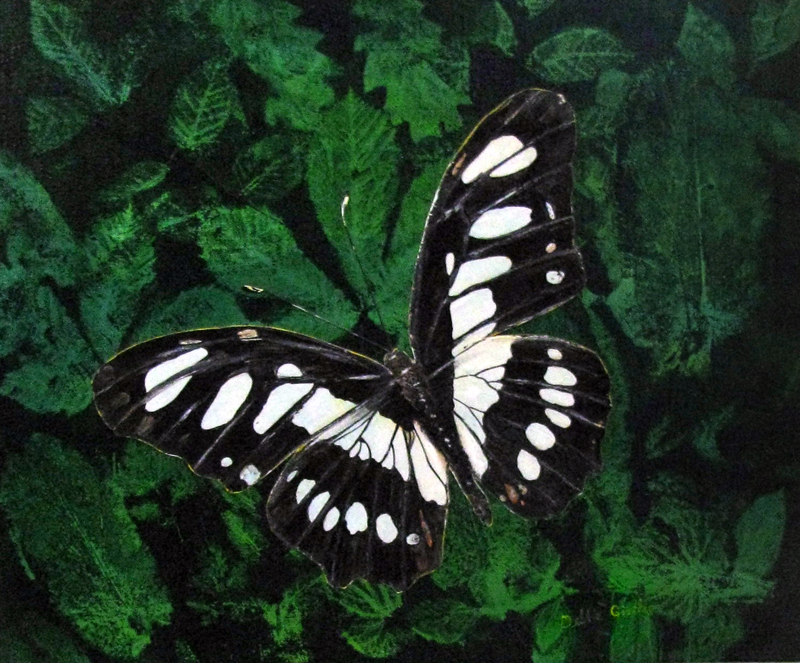 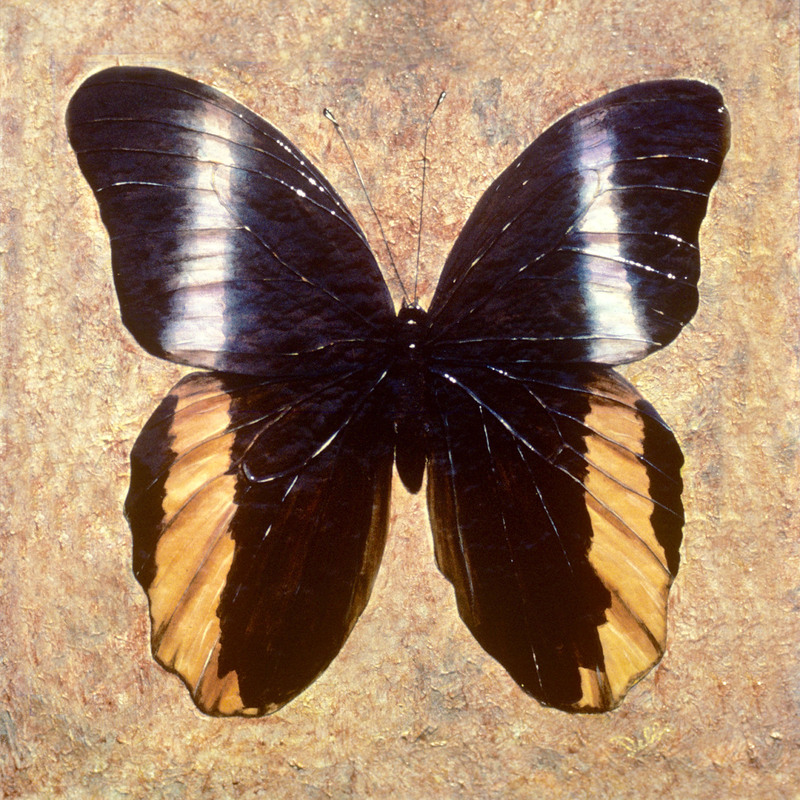 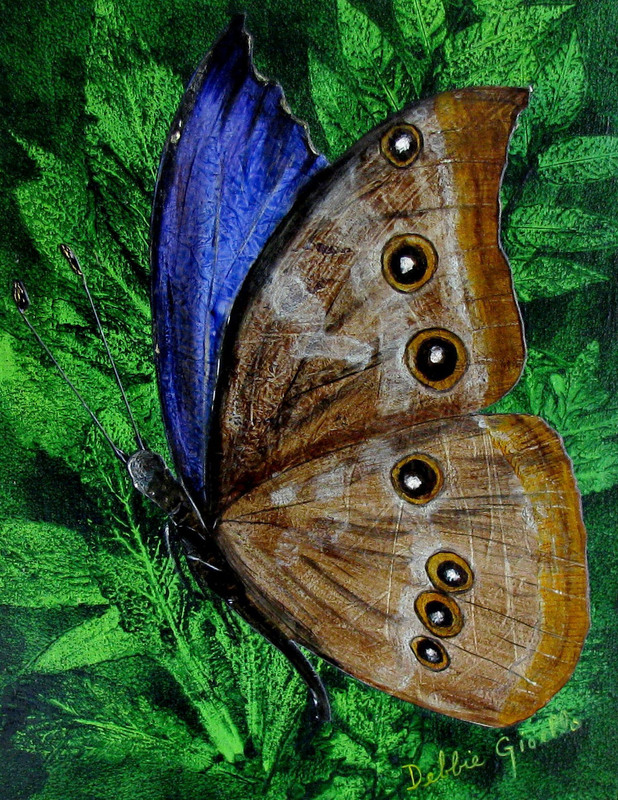 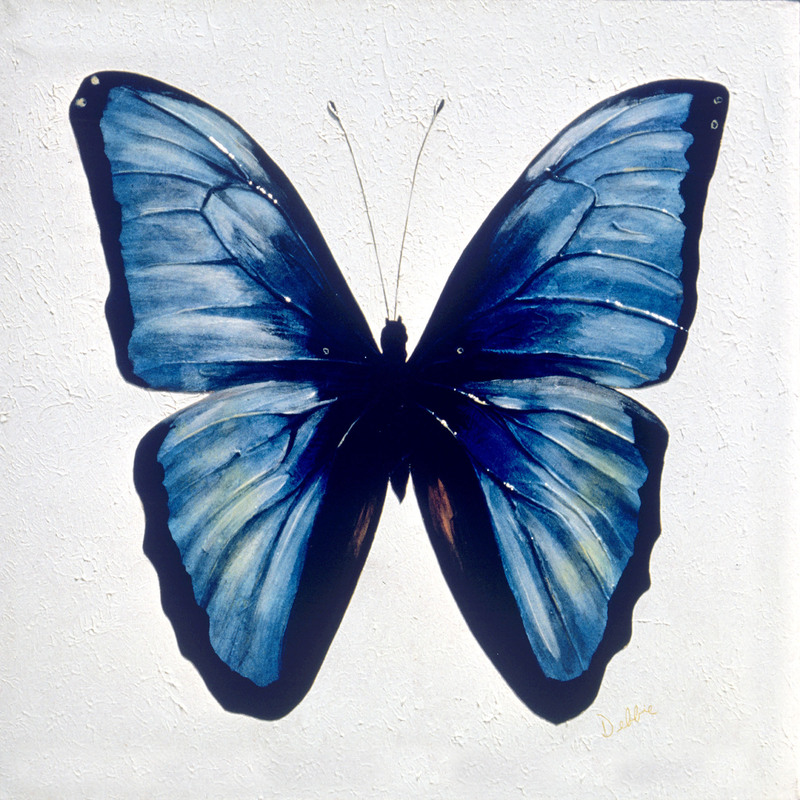 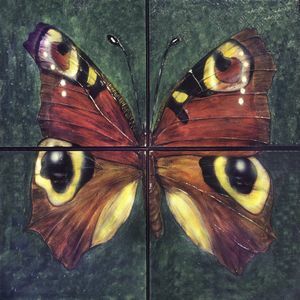 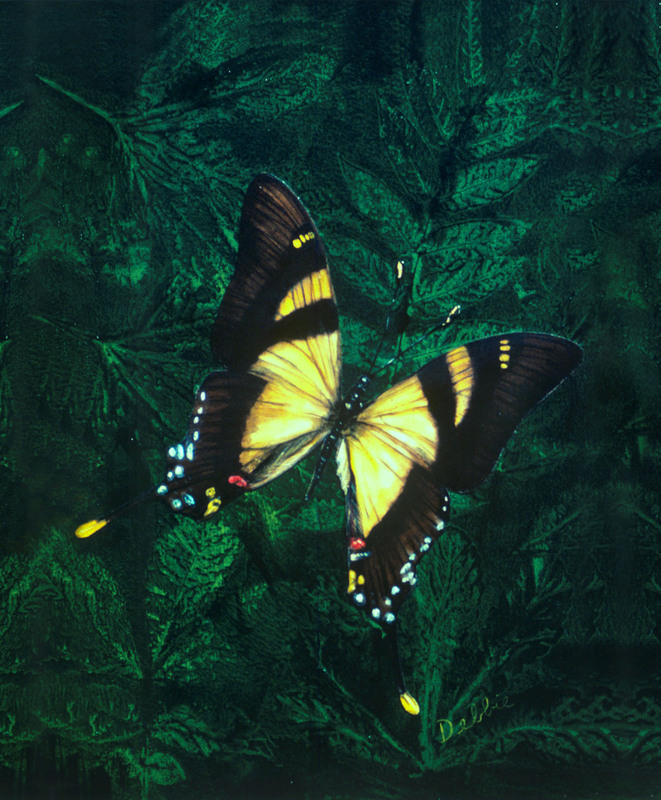 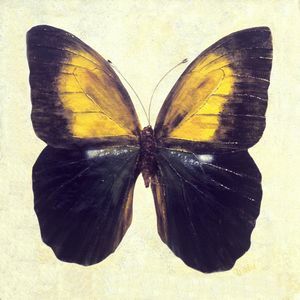 The completed painting of the butterfly is cut away from the original canvas and superimposed on another painted canvas producing a layered, three-dimensional textured painting.